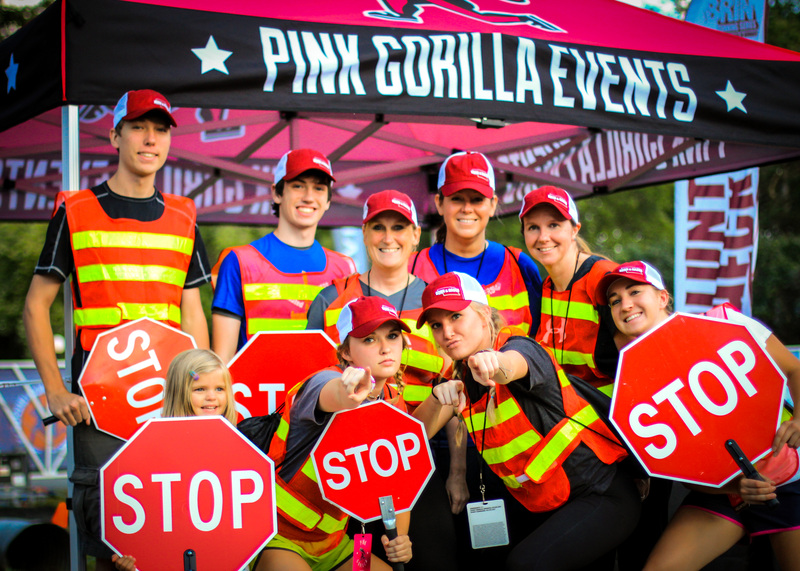 Giving locally is an important part of our mission at Pink Gorilla Events. Sure, we strive to produce big experiences for our runners, but was also seek to make an impact on the communities in which we run. We now produce eight events in three states, five of which are right here in the Lincoln/Omaha area. These events would not be possible without the efforts of local non-profits and community groups. In 2016, we worked with over 1800 individual volunteers tallying nearly 8,000 volunteer hours! Since 2008, we have been fortunate to donate over $350,000 back to these local groups that work so hard to help you have an amazing race day experience. A lucky few volunteers have the pleasure of placing medals around the necks of half marathon finishers or hosting a cheer station, while others get the ‘pleasure’ of parking team vans in muddy pastures or tearing down in the dark – long after the final runners have gone home. All these tasks are vital to the success of our events and we couldn’t be more grateful for the support of these groups over the last 10 years – that’s right we are celebrating the 10th Anniversary of our inaugural event, Market to Market Relay Nebraska this year. Give to Lincoln and Omaha Gives Days are coming up on May 18th and May 24th respectively. Join us in making an even bigger impact on these organizations and communities we love!